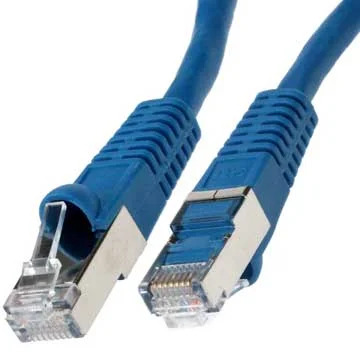 CAT7 straight through patch cables are used to connect Network Adapters, Hubs, Switches, Routers, DSL/Cable Modems, Patch Panels and other Computer Networking applications. These cables are shielded against EMI (Electromagnetic Interference). Provides up to 10Gb connection and frequencies 600 MHz. There is a plethora of options in these cables of various types, colors and lengths. Lengths of Shielded Booted Cables range from 1ft to 100ft. Our cables are environment friendly, flexible and simple to use; they are of high quality & performance too! We provide cables/wires at very competitive prices and provide fast shipping. Purchase bulk cables from us and get 100% satisfaction every time.